When is the regular NBA basketball season? The regular season begins in October and ends in April. The All-Star Game is played in February of the following year. Then, the playoffs begin mid-April and will end with the last game of the Finals. The NCAA Division I Men’s Basketball Tournament, also known and branded as NCAA March Madness, is a single-elimination tournament where a total of 68 teams qualify for the tournament. The tourney is played during March and April. Thirty-two teams earn automatic bids as their respective conference champions. These basketball movies will take you into the shoes of basketball greats, retell amazing stories and take you into another world. In 1999, Ken Carter returns to his old high school in Richmond, California, to get the basketball team into shape. With tough rules and academic discipline, he succeeds in setting the players on a winning streak. But when their grades start to suffer, Carter locks them out of the gym and shuts down their championship season. When he is criticized by the players and their parents, he sticks to his guns, determined that they excel in class as well as on the court. Swackhammer, an evil alien theme park owner, needs a new attraction at Moron Mountain. When his gang, the Nerdlucks, heads to Earth to kidnap Bugs Bunny and the Looney Tunes, Bugs challenges them to a basketball game to determine their fate. The aliens agree, but they steal the powers of NBA basketball players, including Larry Bird and Charles Barkley — so Bugs gets some help from superstar Michael Jordan. After being appointed the new coach of the 1966 Texas Miners, Don Haskins decides to build a team based on talent rather than race. The conservative townsfolk balk at the new racially diverse lineup despite the fact that the team is winning all their games. When black players like Bobby Joe Hill and team captain Harry Flournoy begin to dominate the court with flashy moves, the racial tension increases, jeopardizing the future of the team. Filmmaker Kristopher Belman chronicles the early career of basketball superstar LeBron James. James and four other talented teammates were a powerhouse combination at St. Vincent-St. Mary High School in Akron, Ohio. The five star athletes burned up the courts throughout Ohio, but James’ ever-increasing celebrity threatened to tear apart all the five had worked so hard to achieve. A teenage klutz becomes the star of his high-school basketball team when he magically acquires the abilities of his hero, NBA star Kevin Durant — but the switch leaves Durant unable to score. In 1976, singer Jackie Moon uses the profits from his only hit single to fulfill a longtime dream of owning a basketball team. His team, the Flint Michigan Tropics, is the worst team in the league, and what’s more, the franchise may fold when the ABA and NBA announce plans to merge. It’s up to Jackie and the Tropics to turn their game around and slam-dunk their chance for survival. Jake Shuttleworth has spent the last six years in prison after accidentally killing his wife during a violent domestic dispute, leaving his son, star basketball prospect Jesus Shuttleworth, to fend for himself. One day, the prison warden approaches Jake with an unusual offer: He’ll be given a week of parole to convince Jesus to attend the governor’s alma mater, with the promise of a shortened sentence if he succeeds. 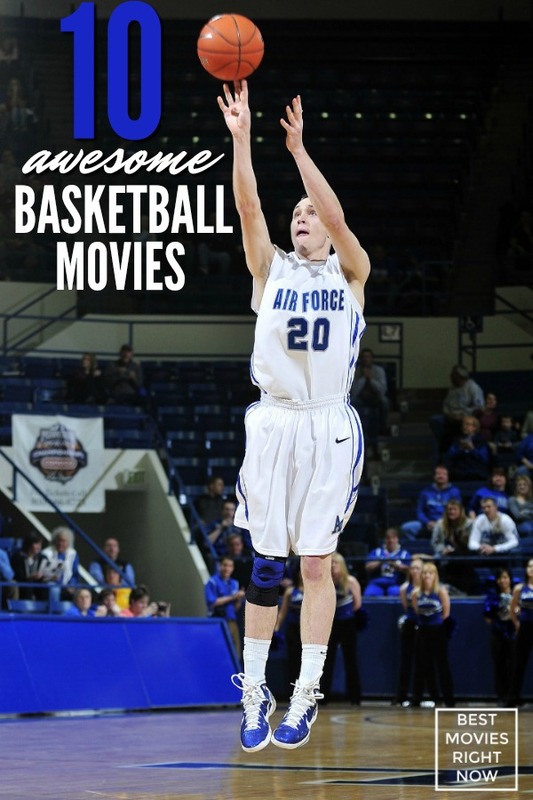 What’s your favorite basketball movies?